A company can be registered either electronically or by sending paper forms and documents to Companies House. Over 90% of new companies are registered electronically. Incorporation Services Limited, part of the Company Law Solutions group of companies, provides an expert service for all your company formation and company law requirements. This is by far the quickest way of having a company registered and the vast majority of companies are now registered in this way. It is now possible to register directly with Companies House, but most people use a solicitor or professional company registration agent to do the work for them. 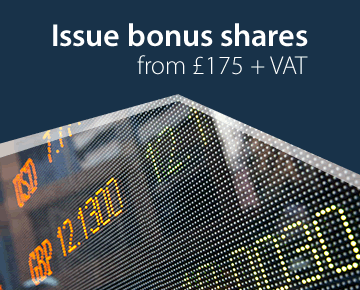 Companies House provides no advice other than on their website, even with regard to the difficulties of registering with a particular name, let alone all the technicalities of directors, shareholders, shares and share classes. Incorporation Services Limited provides an expert electronic registration service. The main information needed to register a company is the same whether the registration is done electronically or by traditional means. A copy of the company's articles of association must be provided. This document contains the company's constitution. Most companies have articles based on the Model Articles provided by the government as a specimen set of articles for the different types of company. The information required for form IN01 is also required. 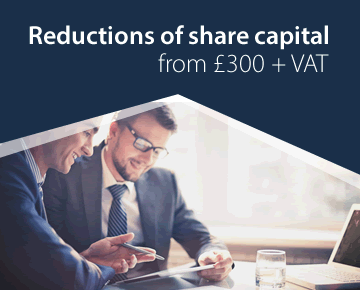 This mainly comprises the address of the company's registered office and the details of the shareholders, directors and company secretary (if any) must also be given. This information is verified by providing certain so-called 'security information'. There are more details on the Incorporation Services Limited website. The registration fee is £13 and the typical registration time is a few hours (unless there is a computer problem, which happens occasionally). The certificate is emailed to the registrant, and there are regulations about how it should be printed. A 'same day' service is available on payment of a £50 registration fee. This is the traditional way of registering companies, but now only a minority of companies is registered this way. Community Interest Companies (and, indeed, LLPs) must be registered on paper. The appropriate documents must be sent to Companies House in Cardiff (or, in the case of a Scottish Company, in Edinburgh), with the registration fee of £40. Form IN01 requires many details of the proposed company including the address of the company's registered office and details of the first directors and secretary (if any) of the company. In practice one of the main difficulties is selecting a name which is available for registration. There are over 2 million companies already registered and each has to have a different name. There are also rules about the acceptability of a company name. See related topic: What name may be used for a company. On receipt of the application, Companies House will check that the name is acceptable and that the documents are in order. If so, a certificate of incorporation will be issued. This is the company's birth certificate. It states the exact name with which the company is registered, the date of incorporation and the company's registered number. The company comes into existence on the date of incorporation and only from that date can it validly enter into contracts or undertake any legal activity. If any transaction is entered into in the company's name or on its behalf before the date of incorporation it is called a pre-incorporation contract. The company is not liable on the contract and the person who actually entered into it is personally liable for it. In other words, there can be no limited liability before the date of incorporation.. The time taken by Companies House to register a company in this way varies from time to time, but typically takes about a week. 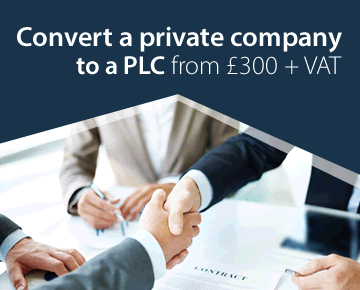 If it is necessary to have a company set up in less time than that, Companies House will deal with the registration on the day on which the papers are received if a registration fee of £100, rather than the standard fee of £40, is paid. This will apply only if the papers are in order and the company name does not involve any difficulties. Electronic registration is generally completed in a matter of hours and so the same day service for paper documents is for most purposes obsolete. In the past, an alternative method was to acquire a ready made company (also known as a 'shelf' company). This was one set up for the purposes of resale. The speed of electronic registration has made such companies obsolete. Incorporation Services Limited provides an expert service for all your company formation requirements. We can register any type of UK company and will check and advise on the acceptability of the company name and help with matters such as directors, shareholders, shares and share classes. 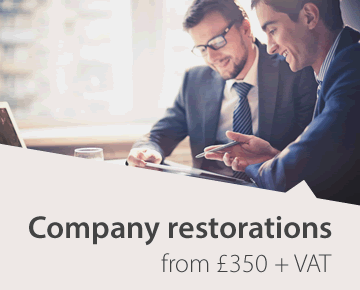 Our standard company formation service provides everything needed for a new company.